I’m no visual artist. I used to be, but don’t let the title throw you off. The underlying reference I’m trying to make is one about perception and resulting reactions to said perception and both’s relationship to medium blending. The meat and potatoes of the day comes from new work being done among the artistic bedfellows of music, theatre and film. The still beloved, classic story Les Misérables, earned its status as such, after years and years of fan adoration from all sides: book, play, musical, 7movie, revivals and independent interpretations galore…Victor Hugo’s historical-fiction brainchild kept expanding beyond the pages of his original book until it had crossed into these many mediums –some clearly more successfully than others. The latest of Les Mis’s reincarnations comes in film format for US audiences, planned and constructed to be a musical adaptation but not simply a screening of a musical performance. The director of the upcoming movie, set for release on Christmas Day, is Thomas George Hooper. One of Hooper’s more recently acclaimed works is the film, “The King’s Speech” (2010), which is mentioned abundantly in various promotional materials for Les Mis. Yesterday, MTV.com (talk about your unexpected outlet crossings,) published a story/pseudo-interview on their website, talking with Hooper about his undertaking this record-setting musical to the silver screen. The crux of the conversation dealt with Hooper’s forthcoming affirmation that he was against any lip-syncing being done for the film’s production. Upon finding this piece making its rounds on the social media circuit and knowing at least a bit about Hooper’s background, a few lively points of possibly debate-worthy potential came to mind. It is fascinating that Hooper wants so badly to keep, what he refers to as, the “ultimate emotional roller coaster” of “Les Mis” intact, preserving and nurturing both the story’s implied emotional compass and those of the individual actors, all of them to be exposed and unleashed through live, firsthand song. Point of contemplative hesitation? Once again, those who are positioned as actors, are being (for the sake of this project,) converted to singers –singers who are intended to deliver as genuine and serious a vocal performance as possible, at least enough to satisfy Hooper’s quota of palpable sincerity. Red-Orange or Orange-Red…speak to an art major or anyone strongly versed in color theory and I am confident such people would have plenty to say in defense of there being an absolute line of separate identity between the two, even if it is often written off as a negligible margin of difference. The ongoing support I have given toward the ideas of collaboration, mixed mediums and blending of audience demographics, would lead one to believe that any and all swings of the pendulum to train an entertainer in more artistic “camps” would be something else I support. This is true to an extent, as new experiences teach empathy; empathy for the people you are learning from and also for what they are teaching you. Nonetheless, being that Hooper’s “Les Mis” is a definite musical reconstruction, why not fill the cast with singers? Singers can and do have to act, at the very least, in the context of formats like opera and, yes, musicals. These individuals require a mastered stage presence and believable emotional investment, portrayed through more than their voices. Anything less and these singers would be standing still, stiff and boring and their singing alone would not carry, nor deliver, a positive and well received performance. This is not to say that I am explicitly against Anne Hathaway, Russell Crowe, Amanda Seyfried or Hugh Jackman buckling down to put forth 100% toward learning a new skill and invigorating this new version of Hugo’s tale, if that is what they manage to do in the eyes and ears of the general public. (And according to at least the opinion of actor and director Zach Braff, the film does so in ways that can’t be adequately “hyped” with words.) If their collective work ends up coming across as legitimately as Hooper’s ideal desire for doing the musical justice, then all are to be applauded and not scolded. Though, the question and wonder of why my reversed scenario is still frequently avoided or treated leerily, remains. While, on the one hand, the second part of this endeavor seems already achieved in global spades via the Metropolitan Opera’s “Live in HD” movie theatre broadcasts, “The Bohemians” certainly differs from the Met on a few key angles of performance delivery. This film, as opposed to a direct simulcast of the Met’s operatic staging, is a complete re-imagining of an opera into not only a different setting, (something that could be likened to radically new productions of classic operas,) but also a different ‘capture process’ altogether. It’s true both are using cameras to convey a story to a screen. Yet, for the Met and its movie theatre partners, the cameras act mostly as a set of functional eyes, which mitigates the main issue of physical distance from the venue. It’s almost poetic how opposing each project’s beginnings are. Meanwhile they are unknowingly and simultaneously producing works that truly promote a coming together of generations and discovery of genres, along with a possible discovery of opposing social crowds. Furthermore, both directors also run on a love of their source material stories. It would seem fitting that perhaps one day, people like Adam Margulies and Thomas Hooper might discover each other and work together to make something with twice the artistic energy and revolutionary storytelling potential behind it. P.S. 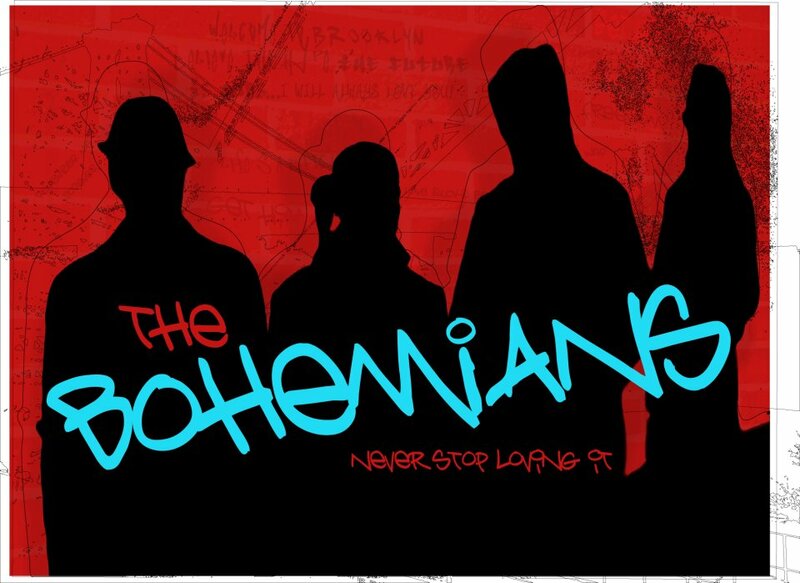 “The Bohemians” is still an active Kickstarter campaign for another full week and if anyone who has read this whole post is interested, backing donations can be made to the project, here.